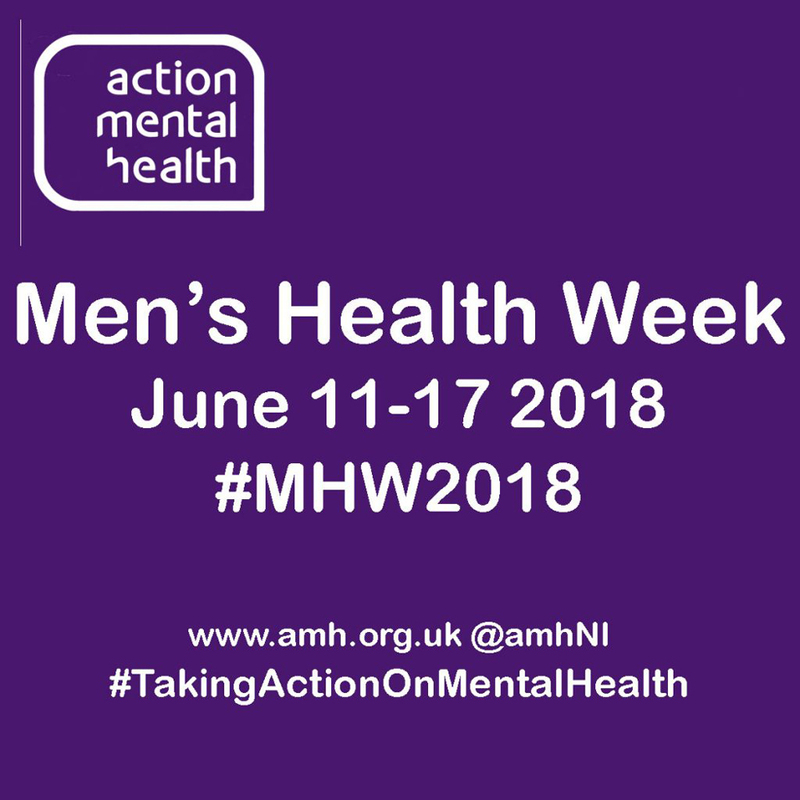 June 11 -17 is Men’s Health Week across the UK and with mental health being an integral component of people’s health, its importance to a man’s overall well-being cannot be overestimated. Action Mental Health has recorded the stories of clients whose mental health has been affected by diverse factors, from addictions, depression and other mental illnesses, to outside factors, including the effects of grief and loss. 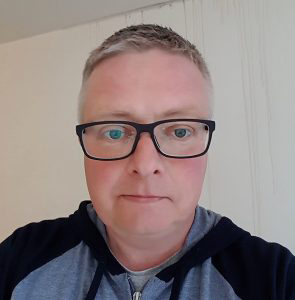 People like our client, Gary, are among the many across Northern Ireland whose mental health has been affected by an addition – alcohol abuse. And as confirmed by the World Health Organisation, people who drink too much are more vulnerable to mental ill-health. Gary knows this only too well – an unhappy start in life started him down a spiralling journey of alcohol-related misery, when he began drinking at the age of 18. Sadly he can’t recall much of his life since the – save for the odd milestone event, like dropping out of an Applied Language Degree at university – but the intervening years, he knows only too well were dominated by his addiction. Now 48, Gary was a lone drinker for much of that time, until something he can’t quite identify compelled him to seek the company of other people like himself. “I became a street drinker. Don’t ask me why because I’d been happy to drink by myself in my flat but for some reason I took to going out to find the company of street drinkers. “It was miserable really and though the majority of people on the street are really lovely people there are those who aren’t. If you are streetwise you can survive but I wasn’t, and as a result sometimes I would just find myself walking into the wrong crowd and paying the price for it. I received a number of severe beatings and ended up in hospital,” he reveals. It was his GP who helped him get his life back on track and helped him on his way to finding a place with Action Mental Health’s Quest programme. Quest is an interactive programme which addresses the complex issues linked to alcohol abuse and its impact, not only the individual, but on their family and friends and wider community. Running five days a week at AMH New Horizons Foyle, the project helps people identify the triggers that drive their abuse of alcohol and their patterns of behaviour that impact negatively on their mental health. People learn stress management and take part in a variety of personal development programmes, like confidence building and negotiating skills and personal health and welfare and even money management. They also undertake a number of education and training-related courses and activities, from gardening to Information Technology. Gary admits he had a ‘rocky start’ on the Quest programme. “I didn’t always want to come here, I have to admit but once I was here, and began to interact with others it became easier. It was through the time-honoured benefits of gardening that Gary planted the seeds of his mental health recovery and has been watching its shoots sprout into an entirely new sense of self. Structure was the most pivotal point in the steps of Gary’s recovery. It was the most simple of gardening tasks, taken as part of the Quest course – but it affected milestone change. “I had to look after the butternut squash. I’d leave the course and go home, knowing I had to come back the next day to look after the butternut squash. With an academic background stalled many years before, Gary turned in a new direction, courtesy of the accredited courses available through AMH and began down a journey in Information Technology which he hopes to pursue further. “It’s the first time in my adult life that I feel employable,” he said. Sober now for just over a year Gary said though he has been through a battle of alcohol abuse, he doesn’t have a quick fix answer for others still in its grip. AMH New Horizons Foyle assists adults recovering from mental ill-health. We offer a range of person- centred programmes in a friendly, relaxed atmosphere to support your recovery.